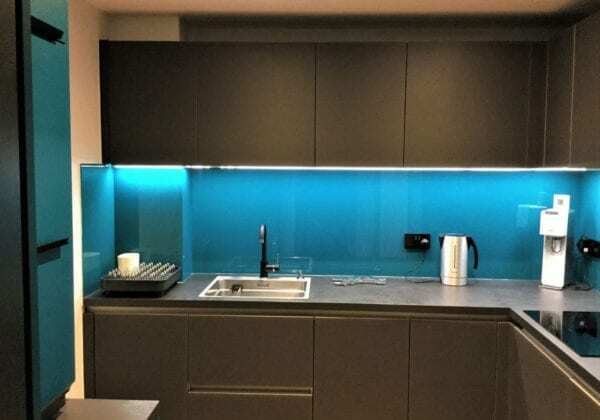 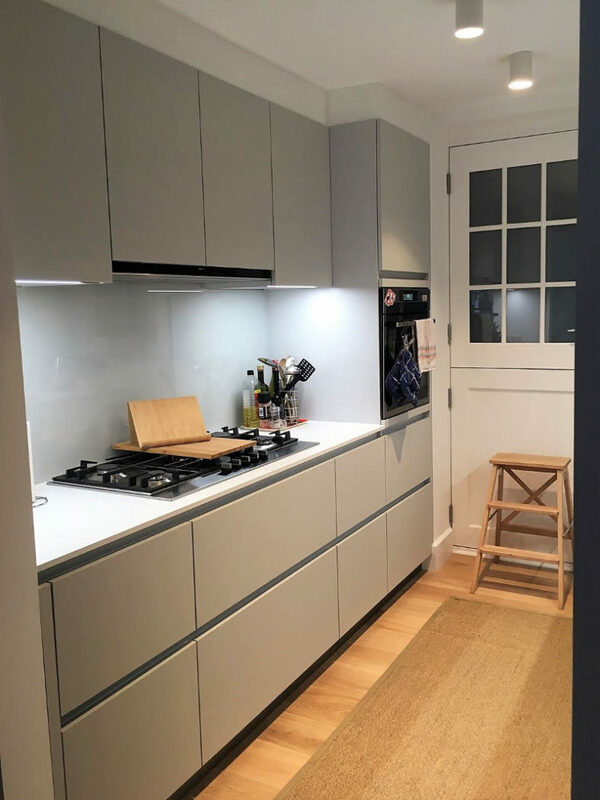 A big thank you to our customer Sade for the photos of her new Next125 Lava black glass fronted kitchen in matt finish. 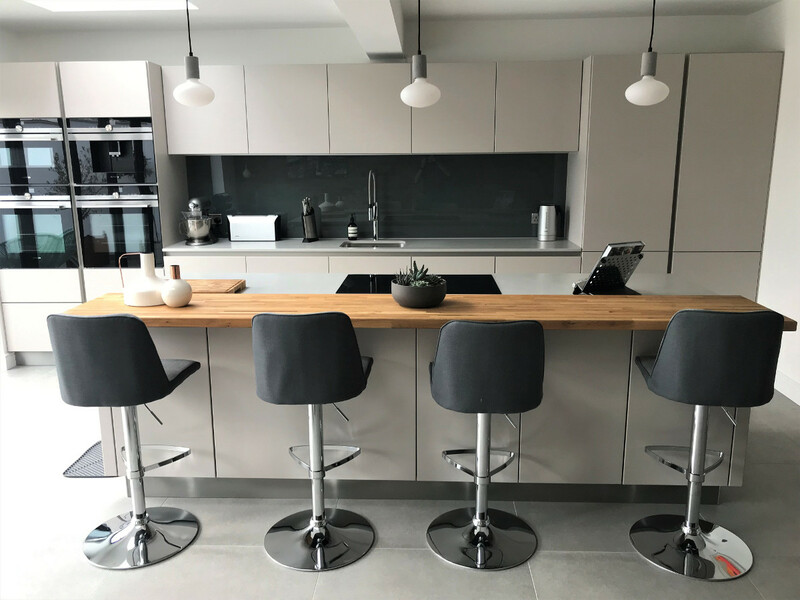 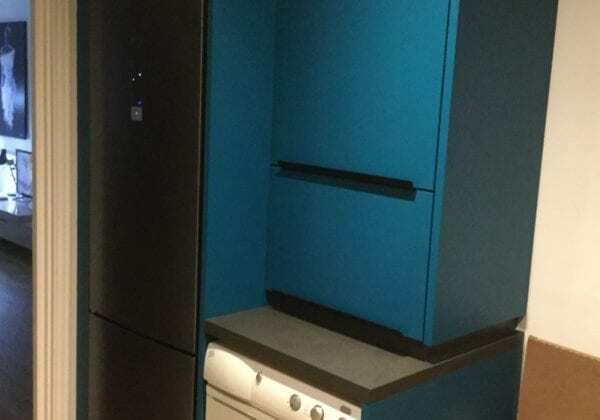 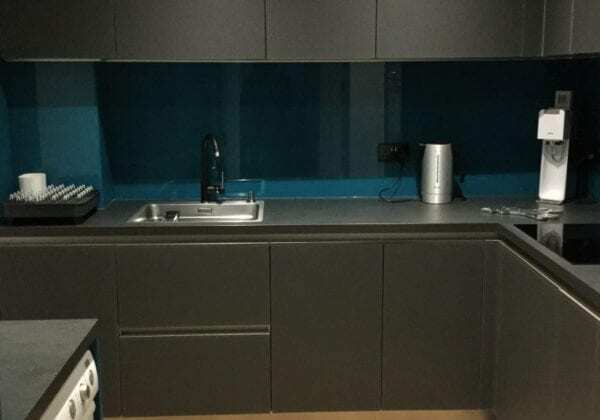 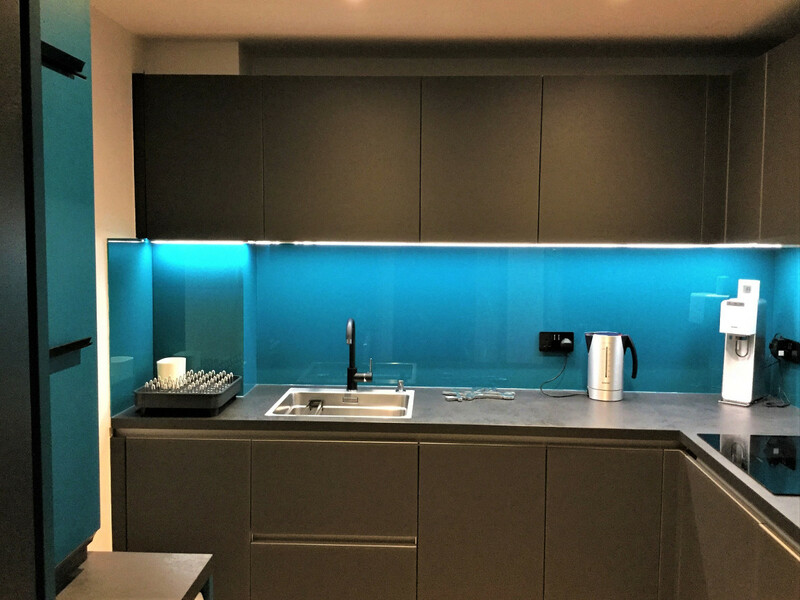 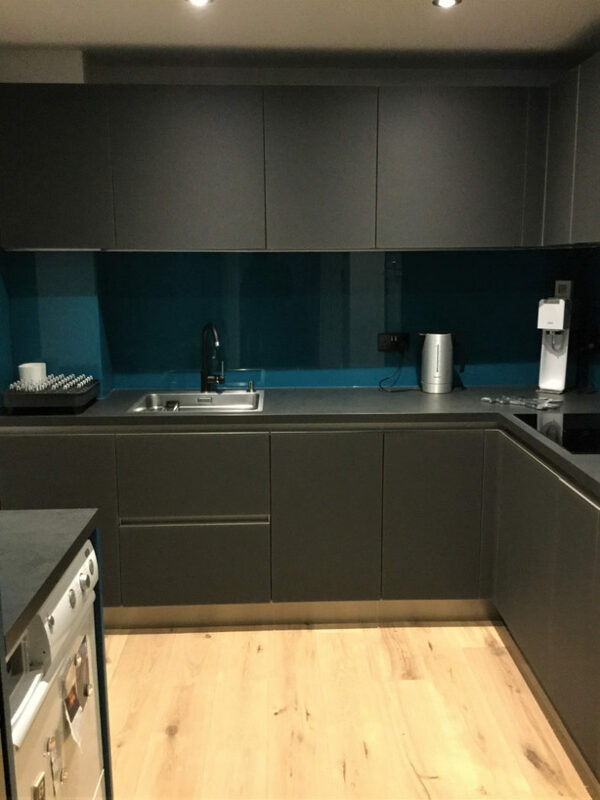 The worktop is Schuller’s own perfectly matching Lava black textured laminate with colour coordinated utility C range units in Petrol in harmony with the glass splashback. 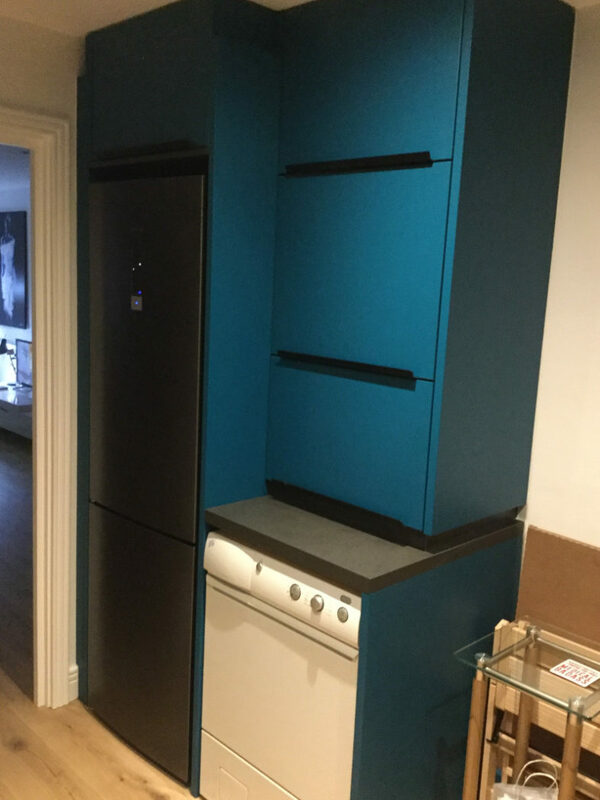 Thank you too to Lewis, our designer.